We really loved NEDS, especially on our smartphones. 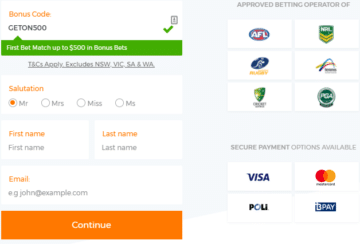 One of the newer bookies on the scene in Australia, Neds was founded in late 2017. They are still building a reputation as an online betting agency and it is still very early days for Neds. If you are reading this Neds review then presumably you are considering opening an account with them. Well, you can rest assured that you are in the right place. Here at Aussiebet we put bookmakers under the microscope, and you will find out the good, the bad and the ugly in our Neds review. Neds was launched by former Ladbrokes Australia head honcho Dean Shannon in late 2017. Based in Brisbane, they are licensed in the Northern Territory and Neds has already gained a foothold in the Aussie market. Neds is a 100% Aussie owned company and they are official betting partners of the NRL, AFL, Rugby Australia, Tennis Australia, PGA Australia and Cricket Australia. You can bet on domestic greyhound and harness racing with Neds, as well as domestic and international thoroughbred racing. Neds is strong on sports, especially domestic action in the NRL, AFL and A-League. The odds on offer are about average in comparison to their industry rivals, while the range of markets on offer is something they could improve on. Although Neds may not yet have the profile of some of their more established rivals, they are still worth checking out. If you like to keep your betting authentically Aussie, then Neds could be the perfect bookie for you. Bookmakers are always on the lookout for new customers and sign up bonuses are a big attraction. Neds has one of the best sign up bonus offers in the business, once you use the correct ‘Bonus Code’ when signing up. When you open an account with Neds use the ‘Bonus Code’ NEDS500DM and they will match your first deposit with a bonus bet of the same size up to a maximum bonus of $500. Check out our step by step guide on how to get your Neds sign up bonus below. Enter the bonus code NEDS500DM. Make a first deposit (max bonus $500). Customers must use the bonus bets within 30 days. * Other terms and conditions apply see Neds site for details. One area where Neds definitely stands out from the crowd is with the range and volume of promotions they offer. We will look at their best horse racing promotions later on, but here we will outline some of their best recent promotions for sports. Neds is proud to be 100% Aussie and this is reflected in the promotions they run. So, whether you are an AFL addict or a NRL nut, Neds will have a special just for you. Bonuses and promotions for existing customers at Neds come with a limited period tag, which means, no matter how much we try, it's close to impossible to provide you with accurate information. However, instead of clouding your judgement with specfics, which are subject to change, we can only confirm that there are promotions on more attractive sports and events, among which you will find NBA, NFL, greyhouds and horse racing. It all depends on the season, but one thing is for sure, they come in large supply! Sometimes finding winners can be a struggle so it helps to have resources and tips available. With Neds blog you can find the latest news on racing, AFL, NRL, Cricket, Tennis, A-League soccer and lots more. Not only will you find news, you will also gain access to expert analysis on the biggest upcoming racing and sporting events. The Neds blog is yet another reason to consider making Neds your regular go to betting company. One of the recent additions at Neds is the rather aggressively advertised Neds Punters Toolbox. In essence, it's sole purpose is to give horse racing punters the means to take betting to the next level. In all honesty, it's the go-to bundle of features for every horse racing bettor. However, the Neds Punters Toolbox is available only via the Neds App. In other words, you have download the app, if you want to get all the benefits that come with it. The Neds Punters Toolbox consists of 4 different “tools”, each targeting a specific betting situation. Fluc Up – punters can increase the odds on a runner of their choosing, but only once the bet is placed. This clause is probably included to avoid any advertising obstacles. Back Up – in simple words, it's a second-chance product that will get your back bet amount back if your Backup wins, and the original bet finishes second. 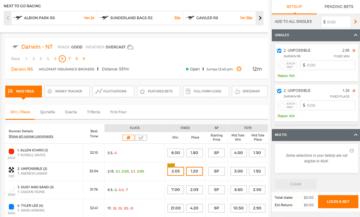 Jump Off – with the Jump Off feature, you can practically cancel your Fixed Win or Single bets on any Australian Thoroughbred races after the race starts. Certain restrictions apply though. Price Boost – last but not least, you can boost the odds instead of your stake. Neds MultiBuilder allows you to build your best and biggest multi bets with very few clicks or taps and swipes. Make your selections across many sports and racing markets without leaving the one screen. It works especially well on the Neds mobile/web app and to find out how to use the Neds MultiBuilder on your mobile device check out our guide below. Swipe through sports and matches to make your selections. To add different sports, just go to the top of the screen and swipe through the different options. When you’ve finished building your multi, press the Add to Betslip button. Your bets will now be in your Bet Slip. 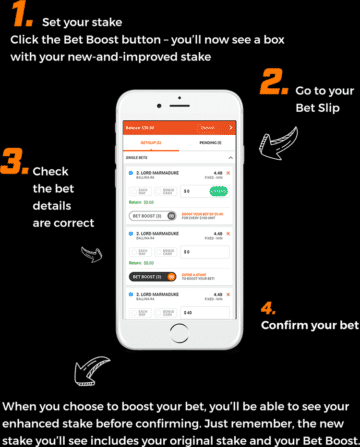 From there you’ll be able to add your stake and confirm your bet. Due to the Australian Interactive Gambling Act, Aussie bookies are unable to offer online live-in play betting. However, with Neds you can still bet in-play, all you have to do is pick up the phone. The in-play odds are displayed in the ‘Live-In Play’ section accessed via the left menu bar. All the current and upcoming live-in play betting events will be displayed here as well as regularly updated live odds. 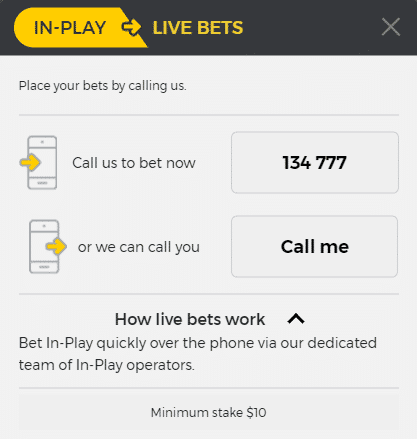 Once you have weighed up your in play wager just call 134 777 and a friendly Neds operator will take your call and place your bet. Minimum stake for bets placed over the phone is $10. One area where Neds is lacking is their failure to provide a live streaming service. The provision of live streaming is becoming more common with Australia’s Corporate bookmakers and the ability to bet and watch is an attractive proposition for punters. However, it is still very early days for Neds and it would be no surprise if they offer live streaming some time in the future. If live streaming does become available at Neds, you will hear about it here first. Betting on the move is hugely popular in Australia and every major betting agency has realised this fact. If a bookmaker wants to succeed Down Under a quality mobile/web app is a must, and you can bet on the go with Neds on most devices. All the usual markets for racing and sports are available, and you can access the MultiBuilder too. If you use an iPhone/iPad/iPod Touch the Neds Mobile App can be downloaded or free via the App Store. It is 26mb, iOS 9.0 or later is required and age restrictions apply. The Neds Android App can be downloaded directly from the Neds website and it will work on most recent Android devices. If you use another device like a Nokia, Windows Phone or Blackberry don’t worry, you can still bet anywhere at anytime with Neds. Just visit the Neds website on your device and you will be automatically directed to the Neds Web App. Although Neds is a new company you wouldn’t know it from their Mobile/Web App, and if you bet on the go Neds is well worth a shot. How Good Are Neds Odds? A key consideration for anyone that is serious about their betting is the quality of odds and depth of markets on offer. We compared the odds and amount of markets available for an A-League clash between Perth Glory and Sydney FC with Neds, William Hill Australia and CrownBet. The best way to gauge the quality of odds is to work out the margin or over round. The lower the margin the better it is for punters, and William Hill just about came out on top with 105.36%. CrownBet were worst by far with 109.07%, while Neds had a very competitive margin of 105.96%. Those figures show that when it comes to odds, Neds are punching well above their weight. However, Neds does not quite match up to either William Hill (90) or CrownBet (121) when it comes to the amount of markets available. Neds only has 50 extra markets on offer, and that is definitely an area they can improve upon. You will still find all the main player markets and other popular markets, but a little more depth wouldn’t go astray. Neds Cash Out: To Safety, Swiftly! We all know that sinking feeling when you get that sensation in your gut that tells you your multi is going to falter at the final hurdle. Now, you can act on those instincts with Neds Cash Out, a handy tool that allows you to cash in your bet before it has completed. Not all bookmakers offer this very useful facility and Neds is one of the few that do. Cash is not available on all events though, and access to the facility is at Neds’ discretion. Cash out value is determined by a number of factors. These include the price you accepted, the amount you wagered, and the current price. Your Cash Out value will change as the odds of your bet drift or shorten. Check Neds terms and conditions for full details on Cash Out. Horse racing is one of the most popular sports for Aussies to bet on and one race in particular is held in the highest of regard. Melbourne Cup day, also known as the race that stops a nation, is looked forward to in the four corners of the country and it is a truly International event these days. Neds are near the front of the pack when it comes to betting on horse racing with a wide variety of betting options available. These include the usual suspects like win/place/each way and odds are displayed for Top Fluc and Tote (Best or SP and Best Tote place). Exotics like exactas, trifectas, quinellas and first four bets are easily accessed from a menu bar above each race. Neds also has a few very neat features that can be useful to horse racing punters. For every race you can utilise the ‘Money Tracker’ to see exactly where the smart dollars are going. Fluctuation history, featured bets and speed maps can also be accessed for every race, while the race comments can often point you in the direction of a winner. Fixed odds are available early for domestic racing, so if betting on the horses is your passion you could do a lot worse than giving Neds a try. Withdrawal Methods: Bank EFT, BPAY. There is not much point opening an account with a betting company if you are unable to deposit or withdraw funds. Banking facilities are a key consideration when signing up with a bookmaker, and Neds lag behind a lot of their rivals when it comes to banking options. PayPal or Skrill are unavailable and you can only withdraw via BPAY or Bank transfer. Before you can deposit or withdraw you will need to verify your Neds account, and you can find out how below. Log in to your Neds account. Go to ‘My Account', then select ‘Verification Centre'. (Here you are able to verify your Identity along with your Debit and Credit Cards). Click on ‘Verification Centre' and select ‘Verify Me Now'. Follow the on-screen instructions to verify your account. To complete your electronic verification, you will be asked to provide one or several of the following documents: Driver Licences; Australian Passports; International Passport; Visas; Medicare Cards; Australian Citizenship Certificates; Immigration Cards. Customers unable to verify electronically will need to use certified documents. Full instructions and a list of documents can be found here. Maximum dividend for any multi bet capped at 10,000/1. Maximum payout for any multi bet capped at $500,000. Maximum legs allowed in multis: Racing-16; Sports-20. Maximum payout of $200,000 per single race. Maximum payout over 24 hours of $500,000. Win and Place: Metropolitan Venues = $300,000; Non-metropolitan Venues = $150,000. Quinella: Metropolitan Venues = $200,000; Non-metropolitan Venues = $50,000. Exacta: Metropolitan Venues = $100,000; Non-metropolitan Venues = $30,000. Trifecta; Metropolitan Venues = $200,000; Non-metropolitan Venues = $50,000. First Four; Metropolitan Venues = $200,000; Non-metropolitan Venues = $50,000. Daily Double: Metropolitan Venues = $20,000; Non-metropolitan Venues = $5,000. Treble: Metropolitan Venues = $100,000; Non-metropolitan Venues = $20,000. Quaddie; Metropolitan Venues = $300,000; Non-metropolitan Venues = $100,000. Super 6: Metropolitan Venues = $300,000; Non-metropolitan Venues = $100,000. Betting Without: Metropolitan Venues = $50,000; Non-metropolitan venues= $25,000. Odds/Evens: Metropolitan Venues = $50,000; Non-metropolitan venues= $25,000. Head to Head: Metropolitan Venues = $20,000; Non-metropolitan venues= $10,000. Jockey Challenge Metropolitan Venues = $30,000; Non-metropolitan venues= $15,000. Early Quaddie: Metropolitan Venues = $100,000; Non-metropolitan Venues = $25,000. Fixed Odds Quinella: Metropolitan Venues = $100,000; Non-metropolitan Venues = $25,000. Fixed Odds Exacta: Metropolitan Venues = $50,000; Non-metropolitan Venues = $10,000. Fixed Odds Trifecta: Metropolitan Venues = $100,000; Non-metropolitan Venues = $25,000. Back the Field: Metropolitan Venues $20,000; Non-metropolitan Venues $10,000. *Please check Neds Terms and Conditions other limits may apply. As the saying in business goes, the customer should always be number one and this should be reflected in the customer service on offer. There are a number of ways through which you can get in touch with Neds, including phone, live chat and email. Below you can find the contact details for Neds should you need to communicate with them. Telephone: 1300 006 337 (7am-11pm AEDT). Email: Via ‘Contact Us’ section of website. No response time specified. Post: Neds.Com.Au Pty Ltd, Montpelier Road 25, Brisbane, 4006, Australia. Live chat: Via ‘Live Help’ link on the Neds site. Is Neds A Bookmaker You Can Trust? When you sign up with a new bookmaker you need to know they can be trusted. Handing over bank details and other sensitive information is never easy, and Neds takes a number of key precautions to keep your information in safe hands. Below you will find some of the security features used by Neds to stop your details falling into the wrong hands. Any paper copies are stored in locked cabinets or restricted access archive rooms. Neds may use third party data storage providers to store. Documents verifying your identity and any credit card information you send to Neds will be stored in a secure database. 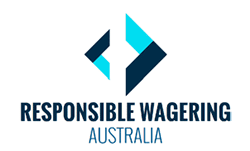 Here at AussieBet we cannot emphasize enough how important we think the promotion of responsible gambling is. We were delighted to discover that Neds share our enthusiasm for responsible gambling, and their message is clear. When the fun goes out of gambling, it is time to stop and get help. Below are some of the features Neds have put in place to help encourage responsible wagering. Pre-commitment limits (deposit and bet limits). Self-exclusion (either temporarily or permanently). Provide information and referring customers at risk to gambling related support services. Tools to protect underage access. Training staff about responsible gambling at induction and every 2 years. For a bookmaker that only started a manner or months ago, Neds has already made a mark on the Aussie Betting scene. Of course, there are a few negatives like lack of depth of markets on sports, no live streaming and limited banking facilities. However, those issues can all easily be fixed and Neds has a lot of features that count as big positives. Their sports odds are extremely competitive and far better than those on offer from CrownBet. The Aussie spirit in them may not be of great relevance to you, but the MultiBuilder is a very useful tool. Neds horse racing betting section is one of the best around and though they may be relative newcomers, Neds is already making ground on the industry leaders. Neds is 100% Aussie owned and run and we think that they will be a household name in Australia before long. Give Neds a try, you won’t regret it!